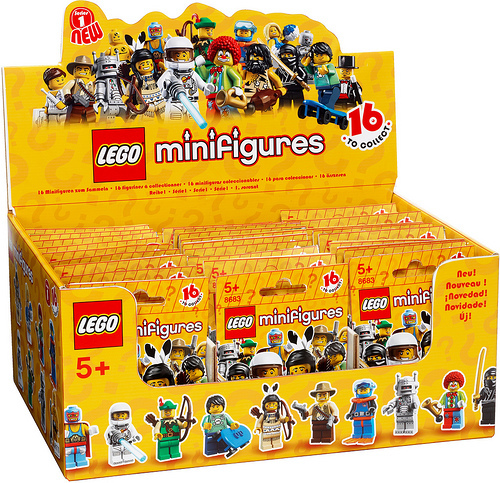 Blind Boxed Lego Minifigs: Code cracked? OK…before I go any further, I want to point out that it’s entirely against my own self-interest to post this. So please, try to remember this the next time I post anything about, I don’t know, Tytus. An honorary Power Pal who shall remain nameless pointed me to this thread, which reveals a possible secret code to the Lego blind boxed figures. Awesome. I don't have an iphone, but you can eyeball it. Are these little guys out yet? I'm just going to have to memorize the robot and zombie. I hate blind box figures, so anything that helps me get a Lego Zombie is A-OK.
How much are the lil' dudes? BBTS has them listed as $2.99 each, but cheaper to just over $2.15 if you order a case. I might call the Lego store nearby and ask what their price is. I love you man. Thank you for giving us the gift of x-ray vision. LOL, that's awesome! Blind packaging in your face, LEGO! I haven't seen these anywhere yet. The trick is cool and all, but I'll likely just grab a few packs at random. I _like_ most blind box toys/games. The collecting/chase is usually fun for me. Are there any regular retailers like Target or TRU that have these? I agree. I'll use this cheat to get the two or three that I really, really want, but I still plan to get a bunch at random. I enjoy blind packaging, as long as the items aren't expensive. 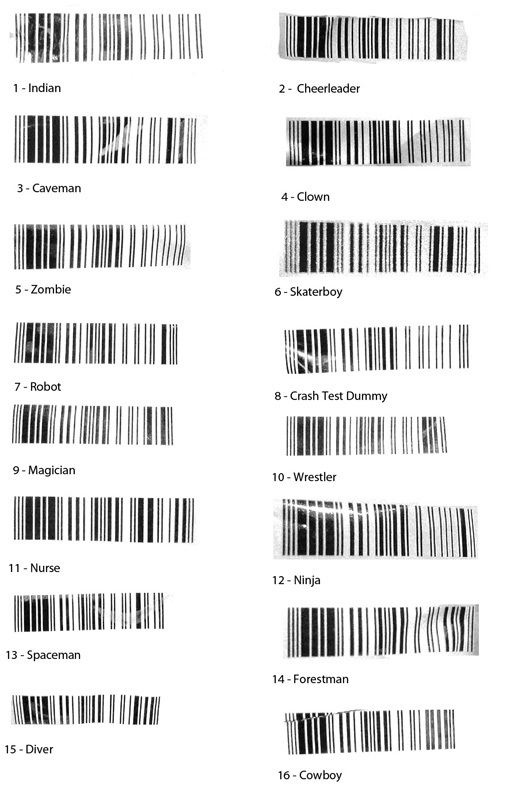 This is nifty for the people who like to further lessen the need to have any sort of communication with another human being to try and complete a collection. I mean, sure, you could just talk to people and ask them if they'd like to trade and maybe make a good friend or two, but PFFFT! Who needs them! You've got a mini-cheerleader and they don't! And yeah, I'm totally getting that Nurse, yummmmm! Sorry guys, but I don't think those UPC codes work. Not in Canada, anyway. I couldn't match any of the codes from my Canadian bags to these ones. But it's pretty easy to identify most figures with a little bit of ..er… groping. The codes may change continentally, because I wanted to use another code "sheet" but it didn't have any similar codes like the packages on it.